The Memco C100 emergency telephone system is a ‘plug and play’ COP based system, which provides quick and easy installation. It is available in ‘behind COP’, flush mount and surface mount versions, giving a wide range of installation options. It is also the first emergency telephone that can be programmed at the touch of a button, making the installation and programming process quicker and easier than ever. The Memco C100 Surface Mount is a self-contained emergency telephone which is designed to be surface mounted on the COP. This variant of the C100 emergency telephone is designed to be flush mounted directly on to the COP. The Memco C100 Base is an emergency telephone which is designed to be installed behind the COP. 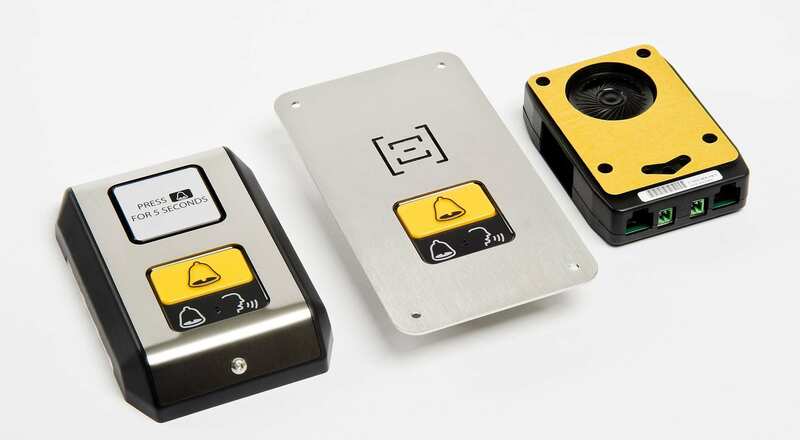 The C100 Local Voice Alarm Stations (LVAS) provide external emergency telephone points for the lift engineer on top of the lift car and under the lift car. The C100 programming tool allows for C100 emergency telephone units to be programmed in the single touch of a button. The C100 PSU is a battery-backed 12VDC PSU designed for use with any of the C100 product variants.